Die Suche nach einem gebrauchten LD-MK-4020R ? Silicone or plastic buttons of computers and mobile phones, big, small size, format fine stainless steel decorative texture identification, precision hardware, electronic components, electronic communications, electrical appliances, automobile and motorcycle accessories, gifts and jewelry, eyeglasses and clocks, instrumentation, and sanitary ware industries, etc. 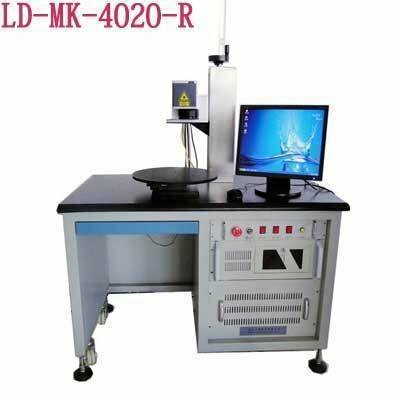 1) Fast processing speed：Its processing speed is 2-3 times of traditional laser marking machine. 2) Good Stability and Free Maintenance: No need maintenance for laser device, also not need adjust or clean the lens. 3) Long Using Time: the average using time more than 100000 hours. 4) Large Marking/Engraving Range: the max rang can be made to 380X380mm. 5) Applicable to a variety of materials such as metal and nonmetal. Mit Blick auf einen neuen Kauf LEAD LASER LD-MK-4020R ?